"I was BLOWN AWAY by how amazing these flowers were. My gosh! Kari did an absolutely fantastic job and we got so many compliments on her work. Absolutely recommend working with her 100%. She really understood me - who I am and what I would like in flowers. She even wrapped my bouquet with lace from my mom's dress - a detail that my family and I love. I cannot say enough good things about working with her. She is straightforward, frank, and her pricing is reasonable. I was certainly impressed with what she delivered. And bonus, 2.5 weeks later I am STILL enjoying bouquets all over my house. Definitely book Kari - you will LOVE working with her and her designs are phenomenal!" "One of the best decisions I made in regards to our wedding was choosing Kari to be our florist. She did an incredible job and I couldn't have asked for a better person to work with. She went above and beyond to make our wedding absolutely beautiful. Multiple people commented on how gorgeous the flowers and arrangements were. She is truly talented. I HIGHLY recommend her services!!!" "The flowers were stunning! Your floral designs brought color, energy and life into the space, just as we had hoped they would. We received so many compliments from guests about the quality and creativity of the flowers that tied everything together so nicely. The photographer complimented your bouquet as the hands-down best she's seen all season! We feel extremely lucky and grateful to you for all your hard work on our wedding. It was truly absolute perfection!" "It goes without saying, your work was stunning. Mike and I are so grateful for your vision and artistry. You created such a beautiful ambiance for our day and I cannot thank you enough for all your wonderful work!" "Kari, hi! I just wanted to send you a quick note before we left for the honeymoon. I can't tell you how impressed I was with all of the flowers that you did for us. Absolutely gorgeous - I loved them!!! I don't think I ever even came across a picture while I was planning that I liked better than what you did for us. Thank you again for making our day so beautiful!! If I ever have friends planning a wedding, I will absolutely give them your name with the highest praise. Thank you again so much!" 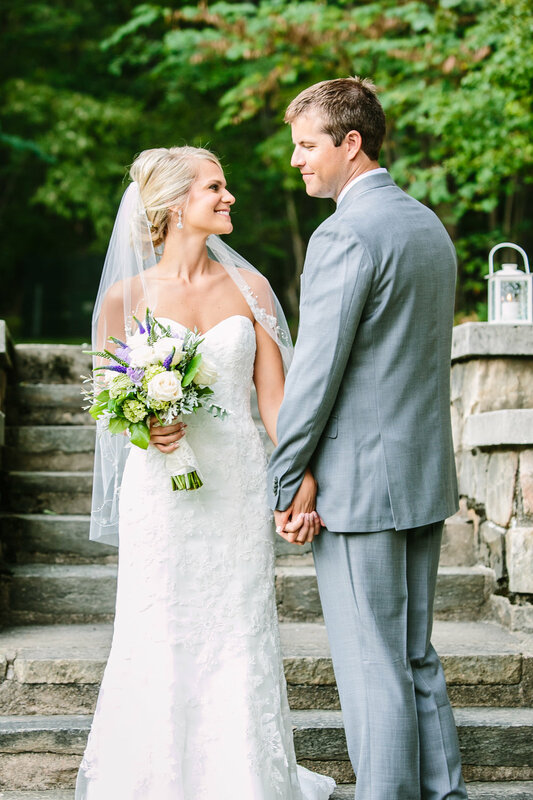 "These flowers were simply stunning, and Kari worked with me to ensure the arrangements fit within my budget. 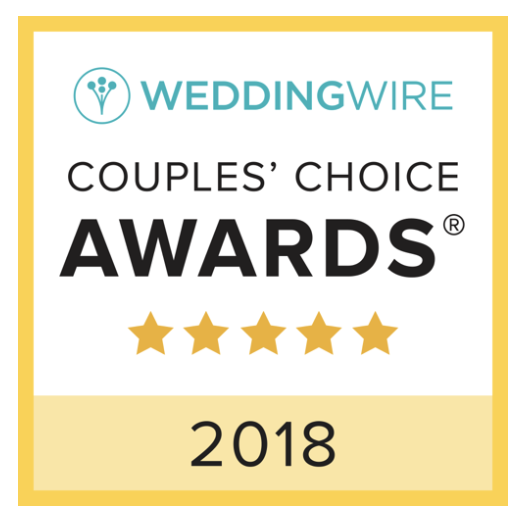 Our guests raved about the beautiful bouquets, aisle poseys and gazebo centerpiece... and I couldn't have been more happy with the guys' boutonnieres! I highly recommend Lark Floral as I had an absolutely wonderful experience from beginning to end." Let us create your dream wedding flowers! Click our Awards below to read more reviews by our clients!